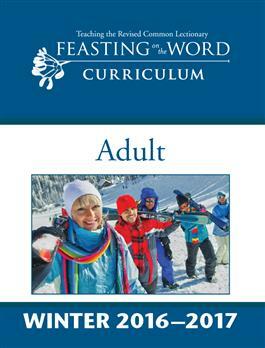 The Adult printed curriculum for winter 2016-2017 includes materials for December 4 through February 26, 2016-2017. For this product, you will receive one bound, printed copy of the curriculum for each season and the curriculum will not be available as a download. Resources include leader guides, accessible biblical background for teachers, reproducible resource sheets, and media connections that tie the week's Scripture passage with a film, video, or Web site. A sample session of the curriculum is available here.